So you’re ready to start collaborating with your team and you’re looking for a neat solution to manage team projects. In this article we’re gonna look at how to use emojis in your content collaboration and make sure your team stays in loop, without ever missing a beat. While we typically see them used in a social context like messaging and online forums, you can just as successfully apply the same principle to content collaboration. Not only do emojis add color and expression to your work, but they also provide clear visual communication to the whole team. Think about it, all your colleagues (or collaborators, however you guys call each other) are talking through emojis anyway, why not upgrade that game to the pro field! What we do around here at the office is emoji the heaven out of each other with Dropbox Paper. Wanna try? Head over to the content collaboration page at Dropbox and set yourself up with a free account to get started. It’s fun. 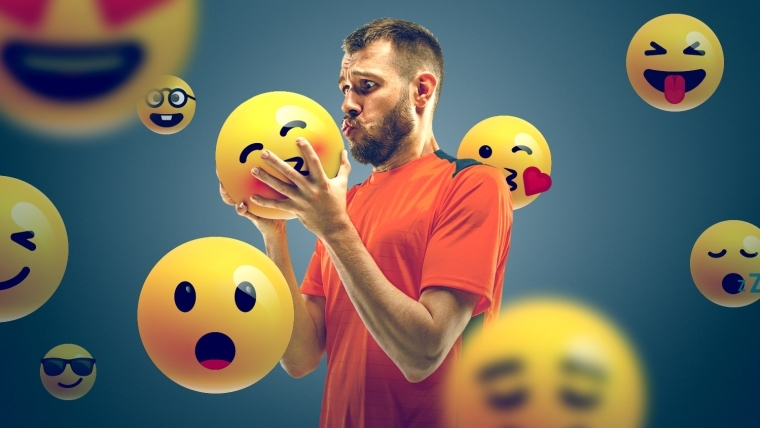 So let’s look at ways that emojis boost communication efficiency and team productivity, shall we? Dropbox Paper is a service that comes free with any Dropbox account and is the perfect way to enhance your team collaboration efforts. We’ve heard the team over at Dropbox has been working on some great new features, including emoji integration, and we think you’re gonna be pleasantly surprised at how smooth it is to use. You can add designs, create galleries for your creatives, add video and slides and seamlessly connect to your social media accounts – all from one place. Affiliates who work as part of a team or have reason to collab with designers are gonna love it the most. You’ll be able to keep your production schedule on plan as well as pitch your marketing plans to prospective clients. Dropbox Paper also allows for better task management and task delegation among team members, making sure your project always stays on track. When you first login to Paper, you’re gonna see all your documents from your home page. From here you can create a new document or template from the menu to add brainstorming, meeting notes and project plans to your account. Click on the document you wanna edit to see where the magic happens. You’ll discover there’s all kinds of tools at your disposal – from inviting team members to view the document, to copying the link and presenting the document to your team. There’s also a handy task list of things to do, which you can filter to keep your project running smoothly. Paper is a feature-rich editor that includes text highlighting, media insertion, formatted code and a whole bunch of tools that make it fun and effortless to use. You can create an event on the fly and add it to your document or add a to-do list at any point on the page and team members with important tasks. This ability to manage your projects in real time and communicate effectively with your team is made even more functional with the addition of custom emojis you can use in every document. You get to choose from a large list of available emojis or add your own custom icons if you wanna use something specific in your message.
? ? ? ✅ ❌ ⭐️?? ? To insert an emoji in your document or comment you gotta either look through the list of available icons or, if you know the name of the icon you wanna use, type “:” and choose a character from the list. You can easily use emojis to visually communicate your project status or convey your mood. This is a handy tool for performance marketers who may not be in direct communication with their team through other means. For tasks, use the triangular flag or the cross to indicate important or pending tasks, while the green check box can be used to mark tasks that are in the clear and on track. Or, if you wanna make a document stand out, simply drop an emoji into the page title or highlight sections in your document for future reference. It’s simple and fun to use and adds a new world of possibilities to working with your documents and comments. Using emojis is a fun way to liven up your team collaboration. Whether it’s Dropbox Paper or your internal collaboration method, the benefits remain. Emojis are extremely easy to use and, when it comes to Paper specifically, work seamlessly with all the other features you can find. Adding a new dimension to your story or ideas helps to communicate urgent tasks to your team at a glance. We’ve been running it for a while and it’s a useful tool that can save precious time for collaboration between performance marketers, not to mention the added value we get when we communicate the status of a project in real time. Give emojis a try and let us know what you think!